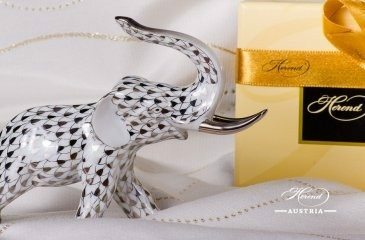 The Herend Porcelain Manufactory was founded in 1826 by Vince Stingl in the village of Herend near Lake Balaton. In the following years the manufactory of the traditional stone pots and porcelain development researches continued. The latter required so much money that the owner had to sell the factory to Mór Fischer in 1839. Herend porcelain Fruit Stand with 2 Tier painted in Chinese Bouquet pattern. 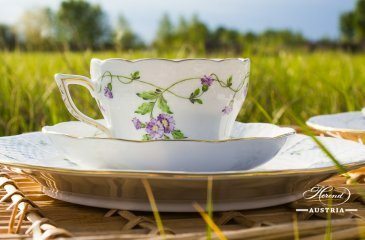 Manufacturing porcelain ware started in 1839 and hasn’t been stopped since. Since the first World’s Fair in London – where Herend won a golden medal – the factory has had the patronage of royal and noble families. The manufactory was introduced to the public at the first World’s Fair, gaining worldwide attention and fame. 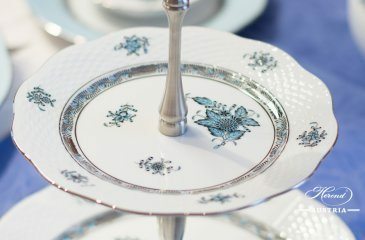 Queen Victoria of the United Kingdom ordered a set decorated with colorful butterflies and peonies made especially for the fair – the pattern was later named Queen Victoria Décor in honor of the Queen. The products of the manufactory were also introduced to another royal and noble families who also attended at the event. 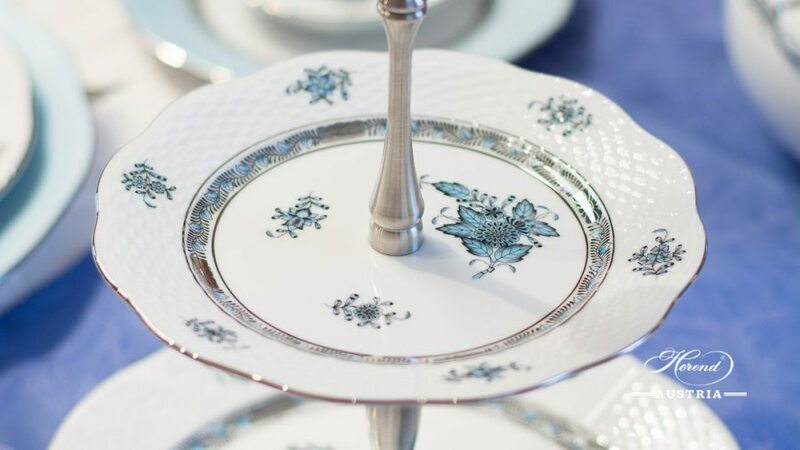 Since everybody was eager to buy something that was purchased by the Queen herself, noble families started to try to outrun each other by buying the most beautifully decorated dinner sets from the Herend Porcelain Manufactory. The owner of the manufactory, Mór Fischer became the official purveyor to the royal family in 1872. World’s Fairs played an important role in the history of the factory, since newly developed patters and shapes were introduced there. In 1874, the management of the factory was given to Mór Fischer’s sons, and later had several owners, until finally it was nationalized in 1948. In 1993 the factory was privatized, and now it is 75 percent owned by its employees. The Herend Porcelain Manufactory now exports to over 60 countries, e. g. to Russia, Italy, the United States and Japan. The Header image represents the Chinese Bouquet – Apponyi pattern. Click here to visit Apponyi page.